PESHAWAR -- More than six months after the launch of the Khyber Pakhtunkhwa (KP) government's Good Citizen Initiative (GCI) to promote a participatory citizenry, educators and local officials are seeing positive results. The initiative comprises three parts, according to a press release posted on the Pakistan Tehreek-e-Insaf (PTI) official YouTube channel March 9. In the first part, the GCI aims to "ensure ethical, informed and participatory citizenry with a special emphasis on the provision of moral education to schoolchildren", the statement said. This phase focuses on enabling students to become responsible citizens by imparting knowledge on ethical issues and civic duties in schools. The second part establishes the Good Citizen Corps (GCC), whereby college students undergo a 21-day course working in welfare centres, including blood donation camps and hospitals. At the college level, the GCC will replace the National Cadet Course, the PTI announcement explains. The third part makes available internship opportunities for post-graduates in all provincial Annual Development Programme projects. Students "will be trained in specific areas to enable them to find employment [after graduation]", the statement said. "Youth are considered agents of change because of their ambitions, ability to move forward and greater tendencies to influence society," KP Director for Youth Affairs Asfandyar Khattak told Pakistan Forward at the end of September. The recent census reveals that youth aged between 15 and 29 comprise an estimated 60% of the Pakistani population. Their number demands greater attention and diversion of resources, of which the KP government is fully aware, he said. KP efforts to empower youth go back years. "Launching a vibrant youth policy after devolution [of federal powers to lower levels of government, a process that started in 2010] ... the KP government has given a package of Rs. 1 billion ($8.1 million) for social, political and economic support of youth, which proves our commitment to making the younger generation good citizens and to use their energies for a better society," Khattak said. "Our efforts, besides youth emancipation, are meant to save them from the evils of terrorism, extremism and drugs, providing them with chances of self-sustenance and personal growth," he said. "We are collaborating with the Lahore University of Management Sciences to provide technical skills to those youth who wanted to start their own businesses but lack practical knowledge and field experience," he said, adding that the KP government was allocating Rs. 500 million ($4 million) for the purpose. "The technical training is expected to establish 330 business fields [including degree programmes in business administration and in information technology] for youth, enabling them to create self-employment opportunities," he explained. For younger students, the KP government held the National Youth Carnival last December, a talent search, in which 15,000 children from 120 schools in KP, Balochistan, Sindh and tribal areas participated. Through the event, the KP government aimed "to support the young generation, make them aware of their civic duties and make them a useful part of society", Khattak said. 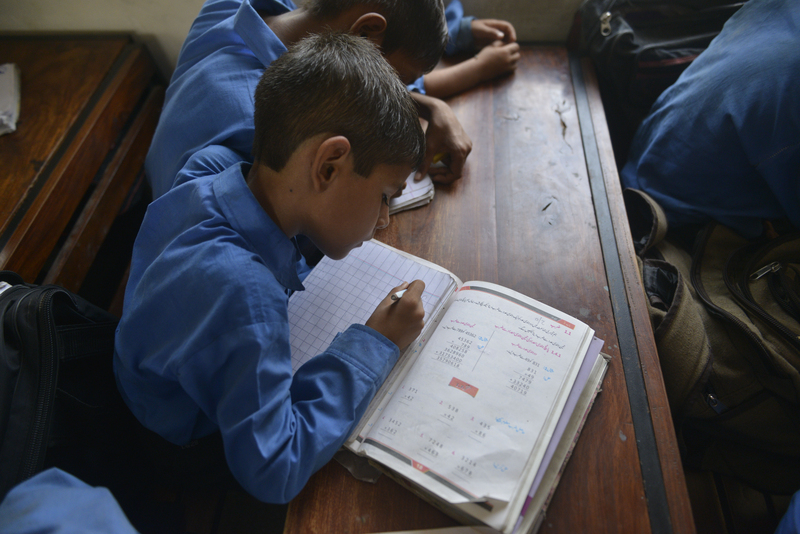 "Each and every segment of society, including youth ... should be kept in mind whenever the government starts devising a policy," said Anas Takreem Kakakhel, a member of the KP Private Schools Regulatory Authority. "The importance of youth in formulating policies has increased significantly, owing to their ratio [in the population] and their numbers," he told Pakistan Forward. "Their transformation into good citizens can be used to bring a positive change in society." The GCI enlightens youth regarding their responsibility to act as good citizens, Kakakhel said. "If we achieve this goal, its implications on society will be far-reaching and innumerable." The talents and capabilities of youth make it imperative to enact pro-youth policies and to enable their constructive participation in society, said Saima Sheikh, a lecturer at the Institute of Business and Management Sciences in Peshawar. "[A better] use of the energies of our unskilled and unemployed youth can help arrest our socio-economic problems," she told Pakistan Forward. Developing a society is impossible unless the society realises the significance of youth and taps their abilities, said Mahir Ali Shah, a law student at Gomal University in Dera Ismail Khan. "The government's initiative can [potentially] ensure the progress of society in guiding, teaching and educating youth for social development," he told Pakistan Forward. Various activities under the GCI including debates, discussions and assembly lectures are taking place in schools throughout KP with the sole purpose of raising the students' awareness of their responsibilities, said Akbar Afridi, former principal and lecturer at the Govt. Higher Secondary School Phandu Road, Peshawar. "I consider inculcating the basic norms of ethics among students a primary step that can shape their perceptions and thoughts of becoming good citizens," he told Pakistan Forward. "The GCI will help instill a sense of civic conscientiousness among youth, besides giving them direction in becoming a useful citizen," he said. The new youth policy is encouraging young people to participate in healthy recreational activities, while providing the means for education. Karwan Tanzeem and the British Pashtoon Association have joined hands to prevent militancy and spur development in Khyber Pakhtunkhwa. 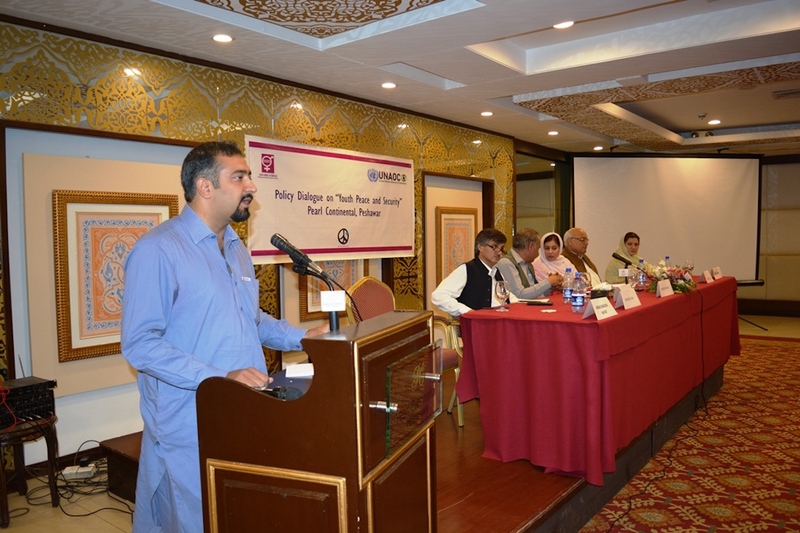 'Investing in youth will ensure a bright future for Pakistan,' said Shafeeq Gigyani, a youth activist from Peshawar.